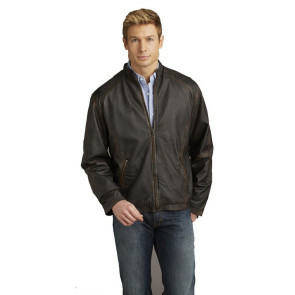 Custom Leather Jackets | custom embroidered leather jackets and personalized leather jackets for men and women. All of our custom logo leather jackets can be decorated with your logo. Whether you looking for a custom bomber jacket, logo fashion leather jacket, embroidered leather racing jacket or a custom logo baseball jacket , we have what you need and a price point that fits any budget. We offer in house professional custom decoration with logo embroidery and custom logo debossing by experts that specialize in company logo leather jacket decorating. Our custom leather jackets can be embroidered or debossed with your logo on the traditional left chest placement as well as the collar, cuff, inside lining and back of your leather jacket. We can take care of your custom jacket needs with spectacular results. Please take a moment to browse our line and view some of the many different styles available as well as the various custom logo decorating techniques available embroidered jackets and debossed logo jackets from Burk's Bay and Canyon Outback.